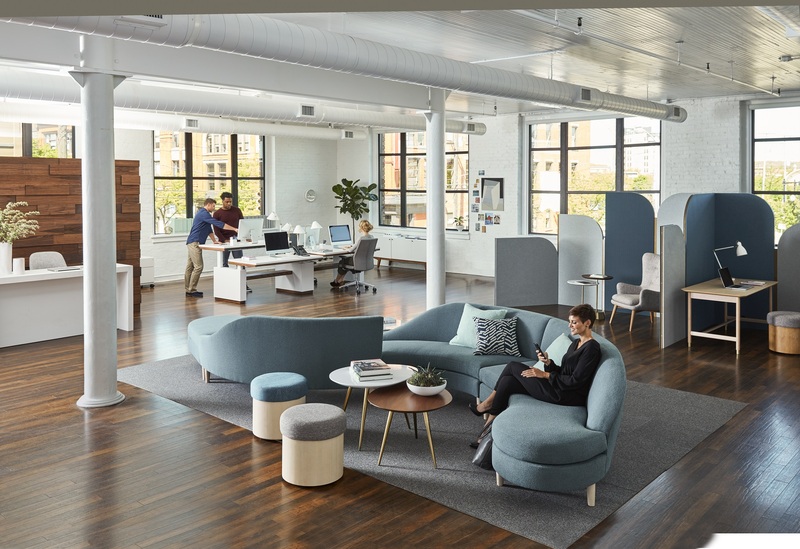 After its whirlwind introduction to the contract market last year, West Elm Workspace with Inscape will be a key company to watch at NeoCon 2016. The company's history in the contract furniture market has been brief, but impressive. West Elm has demonstrated rapid growth, with revenue increase of over 23% for each of the last 6 years, and 25 consecutive quarters of double digit revenue growth. 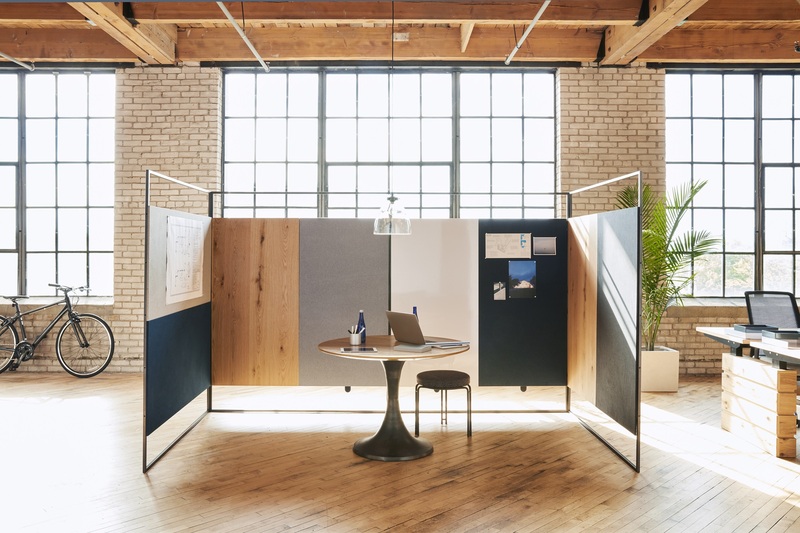 West Elm Workspace is merging brand power with business prowess, and quickly infiltrating the contract furniture market by leveraging its immense brand recognition to attract new buyers and remove a bit of the mystery behind the typical contract furniture buying process. The timing certainly is spot on with a strong desire for a residential aesthetic quickly becoming proliferate in contract furniture. Although many others have been in leadership positions in contract furniture for much longer, few have the clear strategy, vision and pulse on the market as Jim Brett, President of West Elm at Williams Sonoma. Brett says, "We have found quick success, mainly because of all the great partners who want to work with us. Our partners recognize that there is something special about our own working culture and want to tap into our success and find the stories behind it. We are looking forward to helping our partners with those challenges in addition to creating our own functional solutions. A lot of clients are coming to us because they are aware that their employees are already emotionally connected to the West Elm brand. Working with us is just easy, because we are doing things differently, but also because we are deepening a brand connection that is already there with many individuals." It is this connection that no doubt has aided a comfortable and rapid expansion for the West Elm Brand into the contract space. But West Elm Workspace with Inscape is not interested in doing things as they always have been done. The company's goal is to tackle an enormous opportunity that exists with buyers who may not be buying through the contract market today. Brett says, "We hear a lot from our consumers who own individual small businesses run out of their home. These are people who will never work with a dealer and currently are buying residential-grade product from us or buying inexpensive solutions from the no-brand market. We are opening an opportunity to service these clients in a much more cohesive way by leveraging our fulfillment, online system and a unique (and incredibly) simplified contract pricing structure. The challenges this industry has with list pricing (which means nothing) has made it difficult for dealers to work with smaller clients. We have a new, transparent pricing model that is extremely unique in the market. It is accessible to clients on the higher end, yet super competitive with the other players at the lowest end." 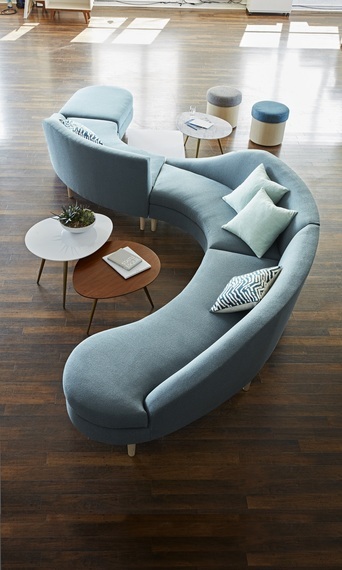 The partnership between West Elm and Inscape originally was sparked at NeoCon 2014. Brett sent a few of his team to NeoCon in search of a contract furniture partner to fill a void he observed in the market. West Elm was in the process of relocating its office, and rather than purchase someone else's furniture, the company decided to create its own. West Elm identified a handful of companies to meet with at NeoCon, and upon meeting with Jim Stelter, CEO of Inscape a partnership quickly was formed. At mind-blowing speed, by NeoCon 2015, the two companies launched more than 75 product lines, a fabric collection, a lighting line and a proprietary software system to facilitate ease of furniture selection. This significant launch certainly was one of the talks of the show last year. While an eight-month development cycle is beyond mind-boggling for this quantity of product to the contract interiors industry, Brett says, "We design thousands of items each year. To us, this is just another day at the office." This begs the question; will the company be able to top last year's performance at the upcoming NeoCon 2016? We spoke with Brett about expectations at this year's show. The Workspace team saw desking and exploration of the primary workspace as a necessary place to start and make a bold entrance into the industry in 2015. It was as if to say, "We aren't just a residential brand throwing some sofas in here." Workspace wanted to be the first residential brand to get into the commercial market and lead the definition of what consumers want in terms of the residential aesthetic in the office environment. The fact that the company won a Best of NeoCon Gold Award for benching and Editors Choice for benching and casegoods suggest that those goals were accomplished. As this visionary brand expands in 2016 and beyond, Brett and his team recognize that there is a lot more happening in the workspace beyond the core of benching systems. Brett says, "We are moving beyond just sitting at the desk to other areas where people work and collaborate with others in different ways. What you will see within our space is how you can move from one vibe to another within a very small defined area; from concentration to collaboration. We will have advanced bells and whistles on our desking systems as well as a much more full-blown point-of-view on the big, great, shared spaces. This will include big pieces for congregation areas, occasional pieces, sofas and seating. There will be many new concepts and ways to collaborate." West Elm Workspace with Inscape also will be creating different variations on what it calls 'escape' areas; structures created to foster fun and inspiring 'escapes' from primary work areas. This exploration will include small group meetings, standing space, standing meetings and more. It also will include a new point-of-view on walls and how to divide space in ways that creates more dynamic vignettes throughout a small space. Brett says, "Over time, we will be adding in many different layers of what it means to sit down and focus or sit down and collaborate within that same space, and escape and be inspired." Brett closes us with great perspective from an outsider entering into the contract furniture world: "While this industry seems to revolve around product introductions at NeoCon, we don't think of it as an annual introduction. We are a design prolific brand that will be at the show, but also has a lot building in the pipeline for many more installments of newness throughout the year. We are exploring trends like wellness, the integration of indoor/outdoor space, culture creation through the physical environment, and using technology to connect with people inside and outside of the office and around the world. You may not see the full manifestation of these explorations at the show, but that is where we are headed." This article originally published in Office Insight on June 6, 2016. It is republished here with permission.